Are You Doing Enough to Avoid a Root Canal? Root Canals are famous for being painful and unpleasant to deal with, but the truth is that they actually make the pain and discomfort go away. Root Canals are dental procedures where the pulp inside of the tooth is removed because of infection and inflammation. Infection can be caused by bacteria building up and causing damage to the enamel of the tooth. When the enamel wears down, the softer tissue inside of our teeth is compromised. While you can’t totally prevent a root canal, you can take steps to reduce your likelihood of needing one. Follow these tips and check in with your endodontist if you experience any symptoms of infections. It’s the sad truth, sugars contribute to infection. That’s not to say that sugars cause infection, but they do create a chemical reaction in your mouth. The acids that are created as a result are what will weaken the enamel on the teeth, eventually causing the enamel to erode and the inner layers of the tooth to be exposed and potentially infected. It may be a pain, but the consequences of not doing it could be even more painful. As mentioned above, root canals are necessary when the pulp of the tooth becomes infected, even if the enamel on your teeth is holding strong your gums might not be. Flossing helps to get the food particles out from between your teeth. The less food that gets left behind means less bacteria, bacteria that can damage both your teeth and gums. Keeping your mouth clean could be the difference between a happy smile and a slew of dental problems (which if untreated can also affect your heart, lungs, kidneys and blood). We know, we know, you hear it all the time but there is a reason for it. While some are concerned that fluoride is dangerous to consume keep in mind that the amounts present in the water we drink and in the toothpaste we buy are regulated so as not to be toxic. Though, you should consult your dentist before buying fluoride toothpaste for the kiddos. Fluoride helps to strengthen the enamel and thus to reduce the susceptibility to cavities. Teeth are kind of high maintenance, but so is the rest of your physical health. 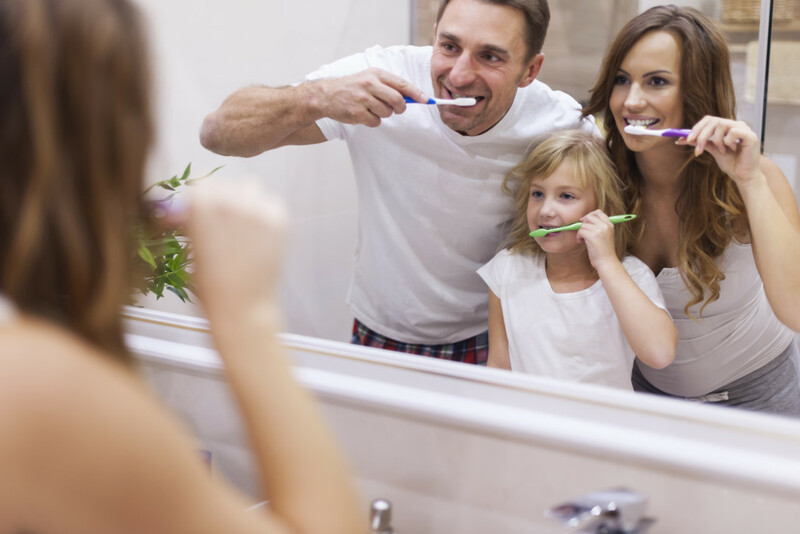 Getting your teeth thoroughly cleaned by a professional at least twice a year will not only keep your teeth bright and shiny, but your dental care provider will also be much more likely to catch a problem before it gets out of hand if one develops. Not to mention, no one ever regrets that feeling of freshly cleaned teeth. Remember though, there are a lot of factors that contribute to your dental health, some of them, like genetics you cannot control. However, you can be in control of your everyday dental hygiene and by making sure that you are keeping your teeth clean and your gums healthy you may be a few steps further away from a root canal. But to be sure, check in with your dentist regularly and let them know about any discomfort you may be experiencing. Still have tooth pain? Give Copper Creek Endodontics a call, or schedule a Free Consultation today!